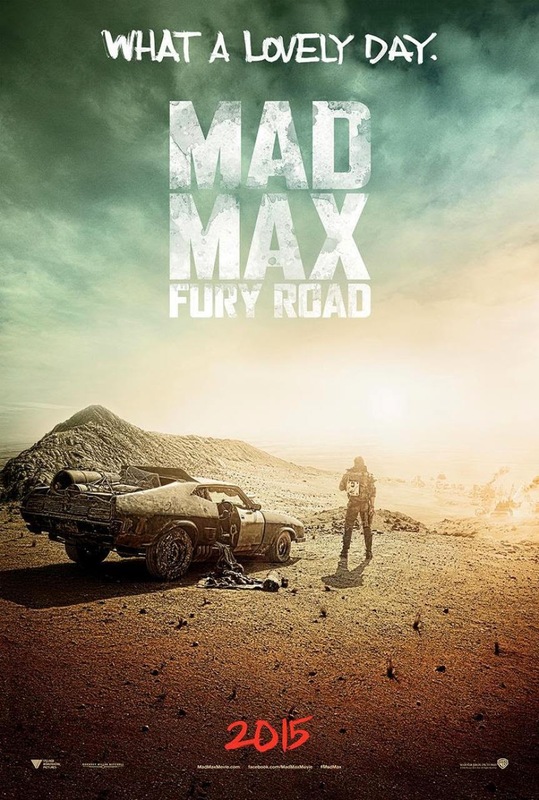 The basic premise sees Max (Tom Hardy) caught up in an escape attempt by Furiosa (Charlize Theron) and the wives of, desert Warlord, Immortan Joe (Hugh Keays-Byrne), who no longer wish to be his breeders and personal property. Once Joe realizes his wives are gone the chase is on and it barely slows down. Certainly the stakes are always high and relentlessly baring down on the escapees at all times. It sounds deceptively simple but within that there is so much going on, so many ideas, characters, settings, cars and constant movement that your mind will be racing along trying to take it all in. There are also a few surprises, Easter eggs and, if you're a long time viewer of Australian television, quite a few unexpected casting choices to enjoy. The film is a little like George Miller took the best ideas from Mad Max 2 (The Road Warrior) and mixed in some of the best ideas from Mad Max 3 (Beyond Thunderdome) and turned the whole thing up to eleven. Then, when eleven wasn't enough, he custom made an amplifier, stuck it on the back of a truck, put it in the movie and made it breathe fire. It's a bonker's ride of a film but it all just works. If you're a fan of the previous films the only real issue you may have is whether Tom Hardy works as Max. Like many Mad Max fans I would've loved to have seen Mel reprise his role. Given the age of many of the key supporting actors, and the fact that Hugh Keays-Byrne was the Toecutter in the very first film alongside Mel, Mel's age definitely wasn't stopping him from being involved. From the very beginning it's obvious Tom Hardy isn't trying to be a version of Mel Gibson as Max. I do think he's tried to find some kind of middle ground vocally between his Max and Mel's, with an accent that I found a little distracting in the few times that he does actually speak more than a few grunts. However I got used to it. I will say that Tom didn't seem to have as much of a presence in this film as Mel does in the earlier films. I'm fairly certain Mel's Max had more to say and people tended to look to him more for answers too. I may be wrong as it's been a while since I watched any of the previous films. The lesser presence is not entirely Tom's fault. He's a very charismatic actor whom I've enjoyed in other films. This particular Mad Max movie is a team up film of equals. Tom's Max shares the screen with Charlize Theron's Furiosa, who is as compelling and capable as Max. Everyone is looking to both of them for answers. Together they deliver memorable performances. Some people have suggested this movie is a feminist movie dressed up as an action flick. My response to that is, who cares. Maybe it could be seen that way but its also unapologetically a Mad Max movie. Mad Max films since The Road Warrior have always had strong, capable female characters. Fury Road is really just building on that foundation like it does with everything else. It's basically more of everything you know along with many new ideas that fit right in with the folklore of the series. I could easily talk about this film for many more paragraphs but I'd have to start spoiling the film. If you're a Mad Max fan you'll love this installment and be looking forward to the next two or three that Tom Hardy is signed up for. If you like fast paced action and/or car films, George Miller at his best makes the Fast and Furious series look like a Sunday drive. Honestly, I've tried to watch the Fast and Furious movies because the trailers look awesome but I just can't get into the actual films. I want to but I just don't see what the fans of those movies are seeing. No such problem with Fury Road. 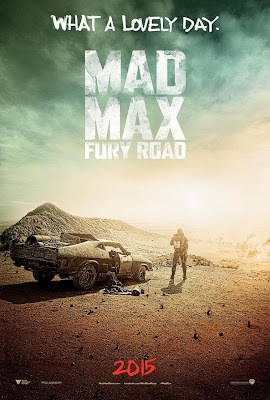 If you've never seen a Mad Max film but think Fury Road looks like fun, go see it. The best thing about Mad Max is you can pretty much jump in at any point as all the films are stand alone stories. The only caveat here is that the first three may look a little hokey after seeing Fury Road given this is the first Mad Max movie since 1985. I can safely say there's nothing like this film on the big screen today. Limited dialogue, 80% practical stunt work, great character development, fantastic world building, brilliant cinematography and more. Everyone bought their 'A' game to this film and it really shows.